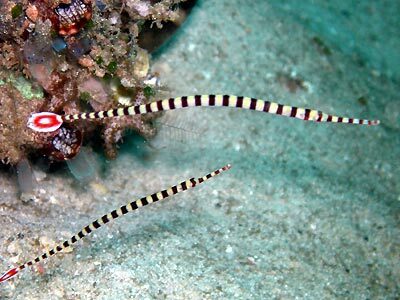 This group of fish normally do not require a large system to thrive, but they have a very finicky diet. 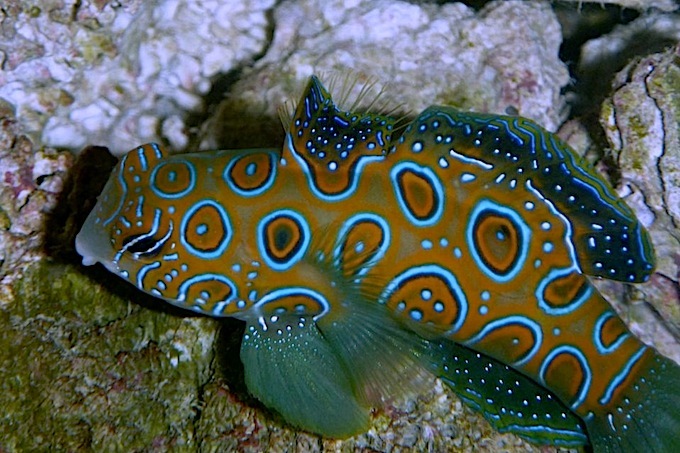 Furthermore, they are extremely slow and shy in their locomotion that if you keep them with other robust, fast moving fish they will doom to die from starvation due to the lack of chance to feed. 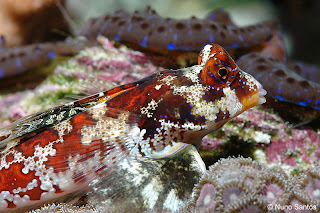 Among them, the Green, Red, and Spotted Mandarin fish are the most popular. 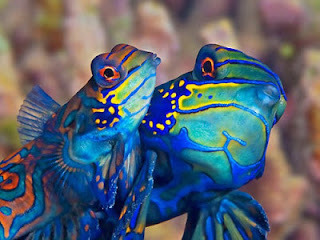 You might find them available in aquarium stores. But what the store employee don’t tell you is how demanding their diet is, especially the wild caught ones- They only eat pods: copepod, anphipod, etc. 3) In a smaller system (30-40 gallon), keep mandarin, and nothing but mandarin minus some inverts of corals in the tank. The lack of competition will allow you chance to train them into accepting frozen food. Using a fry netting, I have successfully trained my mandarin to accept food by first feeding them live brine shrimp, then slip in a few frozen brine shrimp, and gradually increase the portion of frozen ones until it is completely frozen brine shrimp. That particular mandarin grew really fat in a 23 gallon tank with two other very shy percula clownfish babies. Another variation of the mandarin is the spotted mandarin fish. In addition to the common frozen offerings, they have an edge over their green/red striped cousins: They eat the pest flat worms. So if your tank happen to have a flatworm breakout, they are a good patron to help you with that problem. But make sure you can achieve step 1-3 above to keep them alive once the flatworm has been eliminated. 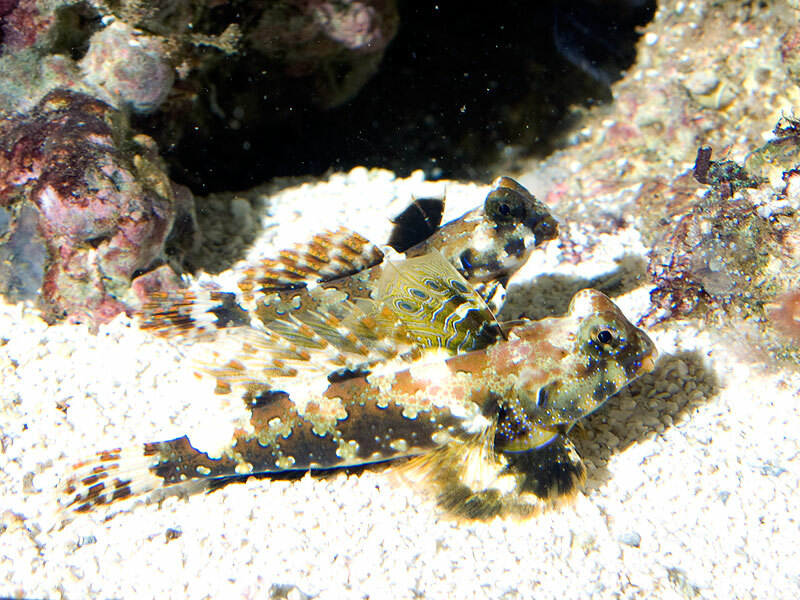 Others in this family are the commonly seen scotter blennies. The name blenny is misleading since they do not behave like a blenny (at least not their diet) but their movement. 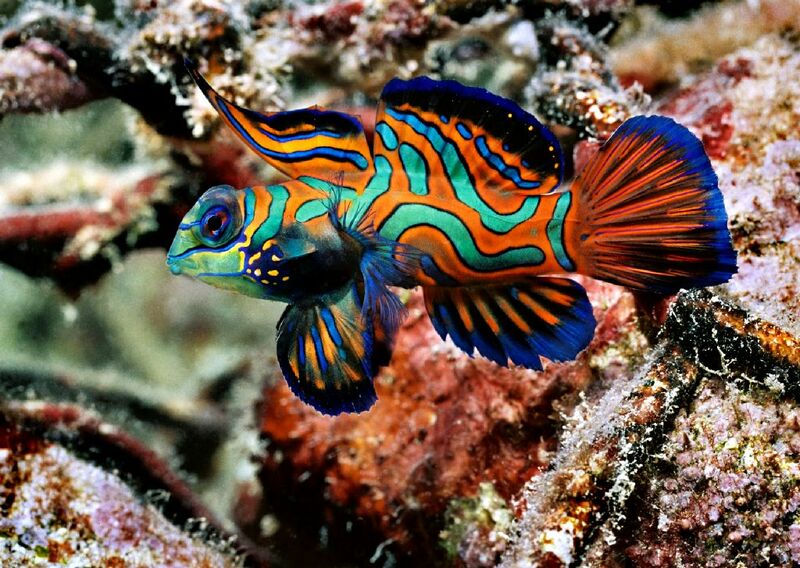 They too, must take lots of care and consideration as the mandarin fish. The next group is Seahorse and pipefish. These two families of fish are closely related. And have very similar behavior: cling onto a branch and remain still for most of their day, only to forage in very slow motion when feeding is required. And the key word is “slowly”. As you can tell from the pictures they are not designed with a streamline shape nor born with strong swimming fins. 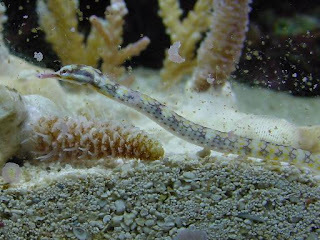 Thus they are best suited for a small system where food will be in a compact, condensed environment during feeding time. 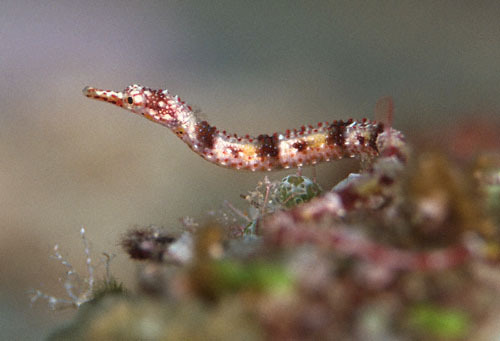 Many of the seahorse and pipefish are also very sensitive to water chemistry changes: salinity, temperature, etc. So it makes it extra challenging to keep in a small system as things fluctuate easily in a smaller system. One way to avoid that issue is to connect the system with a large sump using the overflow device thus increase the overall water volume without increasing the area for these creatures to cover for food search. 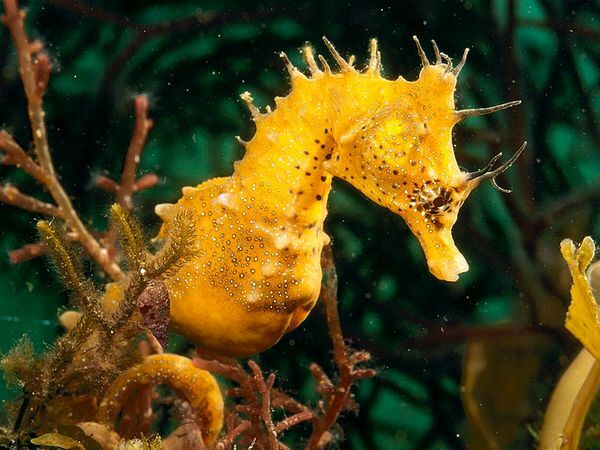 Some of the wild caught pipefish and seahorse also have a very difficult time accepting frozen food. Again, you must then try to introduce them with their natural food (pods) then progress to substitute with frozen food little by little with great patience. The dragon face banded pipefish is an example of one of the most delicate jewel fish out there. They are slow, fragile, and very finicky in their diet preference. You must provide them with a small space with slow water movement, abundance of hiding places with no food competitors for them to thrive.